The New 2012 Verizon Data Breach Investigation Report shows that 85% of breaches took weeks or more to discover which is an increase of 6% on last year. There is also an increase on the number of breaches that are being discovered by third parties and that 97% of breaches were avoidable through simple or intermediate controls. So it seems that as security professionals we are still not using our SIEM solution effectively enough to decrease the breach to detection GAP. So what’s missing? 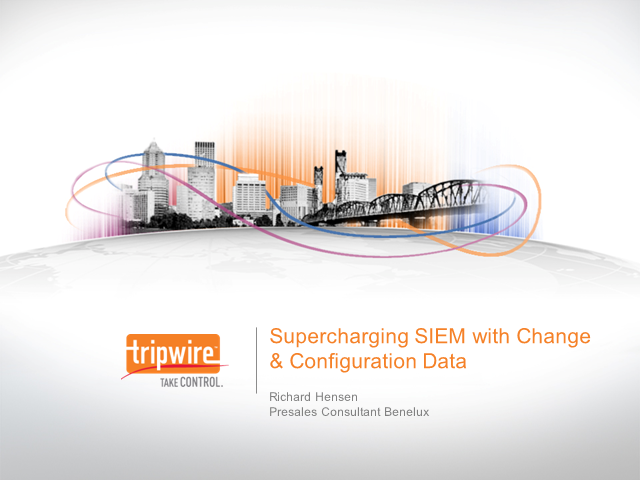 Tripwires change and configuration data provides valuable insight around the security events that matter, allowing you to identify and react quickly to potential threats. Richard Hensen will talk through the common misconceptions around the limitations of SIEM solutions and how best to get more out of SIEM investments.